Passionate about French food, wine and impeccable service, we are delighted to announce David Durack has joined the restaurant team at Les 110 de Taillevent. David joins Head Chef Raphael Grima and Head Sommelier Christopher Lecoufle at our Marylebone restaurant. 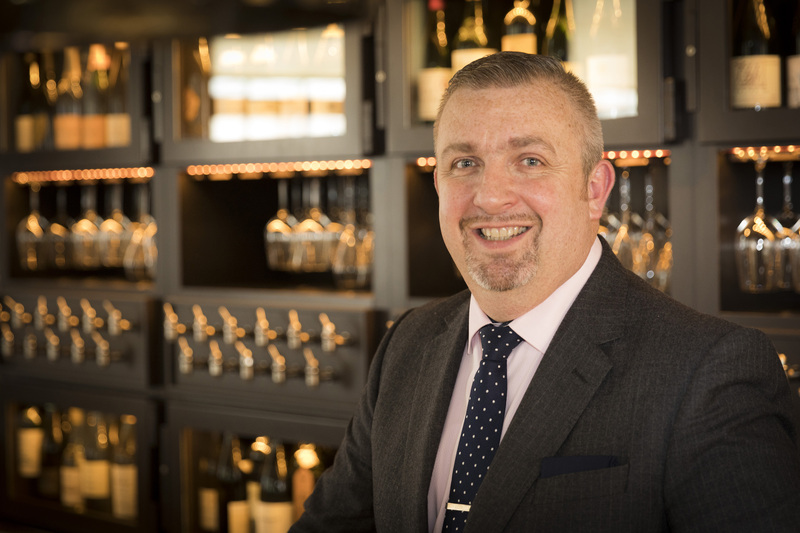 David Durack, the new Restaurant General Manager was previously Assistant General Manager at 45 Jermyn Street and brings his 25 years of experience in the hospitality industry to our team. He will work tirelessly to maintain Les 110 de Taillevent’s position as one of London’s top dining destinations, and to welcome regular and new guests to our dining room. David Durack started his career as a waiter in Belgium, France and Germany before securing his first Maître d’Hotel role in 1997 at La Pause Gourmande in Bethune Lens, France. Following this, the opportunity arose for Durack to begin his career in management at Restaurant One-O-One in London, where he worked as Assistant Restaurant Manager. He then went on to be General Manager at Brasserie St Nicholas in London. Additionally, Durack has spent time with The Arbutus Group where he worked as Manager of Wild Honey as well as Arbutus Restaurant. More recently he worked as the Brasserie General Manager at The Arts Club and as a Consultant for Chapter One Farnborough and Chapters All Day Dining Blackheath. David Durack comments: “I’m delighted to be joining the fantastic team at Les 110 de Taillevent and I’m looking forward to bringing new initiatives to such a reputable restaurant”. Please do say hello to David on your next visit to Les 110 de Taillevent.